The Homeschool Buyers Co-op is pleased to offer PLATO Courseware Language Arts by Edmentum! 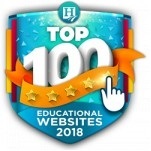 By purchasing a school license on behalf of members, the Co-op is able to offer these award-winning Language Arts (English) courses to homeschoolers around the globe with our signature GroupBuy savings! Members now have access to UNLIMITED ENGLISH as low as $15/Month! You choose your course, your package, and how you pay: $15 for up to 3 English courses on month-to-month payment, $149.95 for up to 3 English courses for 1-year, or $79.95 for one course for 1-year! 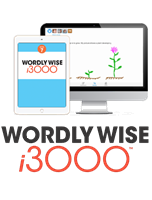 Supplementary Packs available for additional Language Arts help. 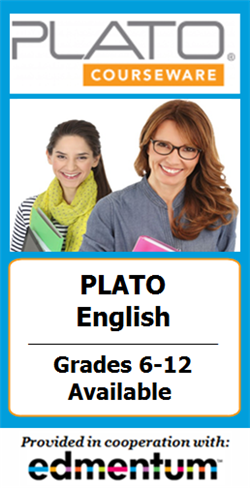 Review Plato Courseware Language Arts descriptions. Review Plato Courses Map for course info like content titles, unit counts, lessons (exemptible modules), and more. Click to sample 8th and 11th grade English - See inside the program (User 1). 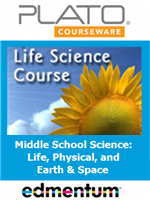 Click to sample 8th and 11th grade English - See inside the program (User 2). 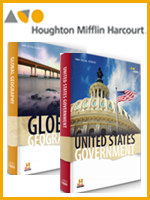 Click to sample 8th and 11th grade English - See inside the program (User 3). (NOTE: If you are prompted to login to HSBC, please use this email and password - HSBCDemo1@gmail.com / demo, and go to the My Subscriptions tab. Once logged into Edmentum, click All My Work in the top to see both semesters of 8th and 11th grade. Review this offer page carefully. Read the Co-op's Plato FAQ page for additional information. Check your system for compatibility & get more Systems Requirement information here. Fulfillment: Please allow 5-7 business days after your order date for us to set up your subscription in the PLATO Courseware system. You will be notified via email when ready. If you don't receive the email, just sign in to your Co-op account and look under "My Subscriptions" for a link and instructions. Returns/Cancellations: This product offers a 21-day refund option (excluding month-to-month). Please see Terms & Conditions for more info. Other: Please see complete Terms & Conditions for (1) system requirements *before* participating, and (2) understanding access restrictions. 24/7 Access - Login Anytime! This subscription gives access for one seat. If you would like to order additional month-to-month subscriptions, please place a separate order. You pay 1 month at a time. Subscription continues until you cancel, which you can do at any time. Please carefully read the "Payment" section of the Terms & Conditions for details. Enter a "1", as shown in the Qty space above. 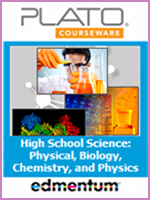 If you need PLATO Courseware for another student, please place another order separately. From the drop-down menu below, choose your preferred course titles (choose 3). Complete the order form below. Month to Month Subscription: In order to make PLATO Learning affordable for more families, the Co-op is pleased to offer a month to month subscription. Your 1st month will be charged when you place your order. However, to allot for setup days, we won't charge you for the 2nd month until one month plus 7 days has passed. That will be your "Monthly Anniversary Date" unless it falls on the 29th, 30th, or 31st of the month, in which case the 1st of the following month will be your Monthly Anniversary Date. Thereafter, we will charge your card on your Monthly Anniversary Date until you cancel. Every monthly charge is non-refundable. If you want to cancel, you must notify us AT LEAST 5 BUSINESS DAYS before your Monthly Anniversary Date. IMPORTANT: Subscription access is for one user at a time within the same household. Login may not be shared simultaneously with multiple students OR multiple computers/devices. You automatically get a FREE Instructor Subscription with your order. This subscription will allow you to login to the PLATO Learning program to access the Instructor Materials. It does *NOT* give administrative or management access to the program. You will be provided instructions on your Co-op account "My Subscriptions" page for accessing the Instructor Materials.